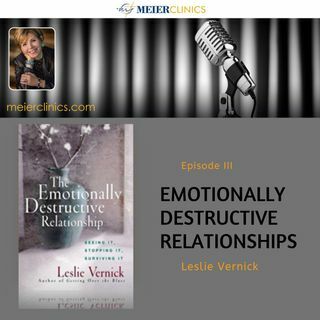 Leslie Vernick is a popular speaker, author, and licensed clinical social worker and relationship coach. She joins hosts Dr. Lisa Day and Kristin Walker as they talk about emotional destructive relationships. Leslie has been a featured guest on Focus on the Family Radio, Family Life Today with Dennis Rainey, Moody Mid-Day Connection ... See More and writes a regular column for WHOA Women’s Magazine. Internationally, she’s spoken in Canada, Romania, Russia, Hungary, the Philippines, British Virgin Islands and Iraq.